Autodesk TinkerCAD is a free CAD software by Autodesk. It allows you to “make anything” in 3 dimensions. TinkerCAD is usually used by amateurs and beginners who are trying to understand CAD and do not have any prior knowledge of CAD modeling. They are mostly used by kids, teachers, hobyists and amateur designers. You can make 3d designs of objects, create electronic circuits and can create your own objects using codeblocks. The object you create can be exported as STL files for printing using 3D printers. The course will give you an insight into the basics of CAD modeling. TinkerCAD has been created for the beginners and this course has been specially designed for the newbies who wish to learn CAD basics before jumping into the ocean of CAD/CAM technologies. The course stresses upon the elementary elements of CAD designing so that the students get strong foundation in CAD modeling and if they wish to, they may pursue a lot more in future. Learning TinkerCAD will help you with initial push required for understanding the rudimentary elements of CAD modeling. 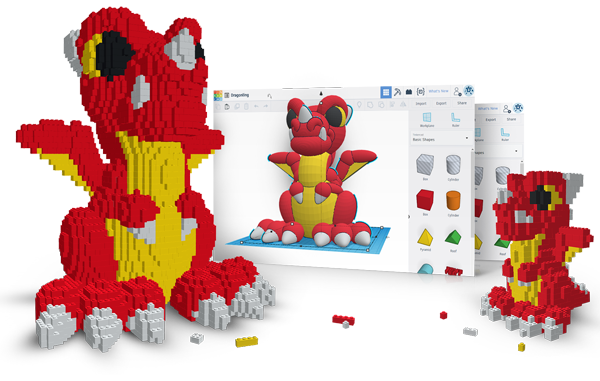 Since TinkerCAD is a free browser based application, it doesn’t require any expenses to start bringing your imagination and creativity to use. To start with TinkerCAD, all you need is to go to their website and learn whether your system will support the application or not. If your system supports the application then you are good to go and start tinkering. We are an authorized and top rated training center recognized by Autodesk. We have resilience and grit to deliver the best quality training to our learning partners. Our resolve to stand firm to our beliefs separates us from the rest. We believe in making the difference by closely associating ourselves to our customers and understanding their needs. Our esteemed faculty will hold your hand wherever you stumble and guide you through the darkness in your career path. Our team has a strong resolve to deliver continuously best results, all our learning partners find top jobs in top companies and we are continuously building our network and alliance with other companies. This will help further expand our business network and will help our forth coming batches to find out better career opportunities. Considering that TinkerCAD is a CAD software for beginners, there is no necessary qualification required to enroll for this course. You can learn more about TinkerCAD using our hi-tech labs where you can practice and learn on your own. A prior knowledge of C++ can be useful while working in TinkerCAD, since they are used in codeblocks for designing electronic circuits.